Bow Triplets, Irish Celtic Folk Band . 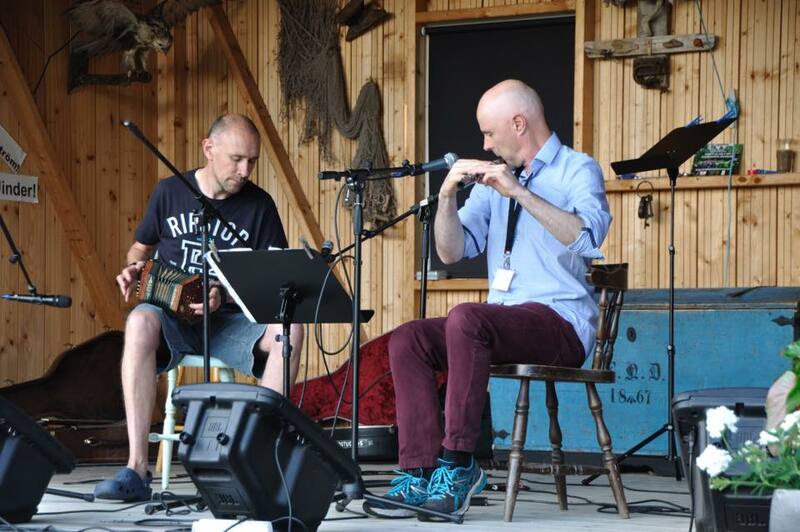 Celtic World Music at Its Best. Irische Musik. 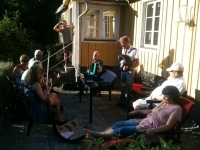 All Swedish champions in fiddle amd keyfiddle. 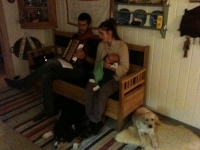 Torbjörn lives in the far north of Sweden and has the Zorn gold medal in keyfiddle. Pär is a violinist with the city orchestra of Winterthur, Switzerland and received the Viksta-Lasse scholarship 2018! 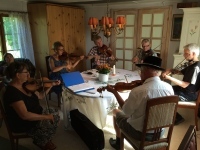 They perform together and give workshops in Sweden through the summers and for a few years they have been performing in Switzerland in the winter. 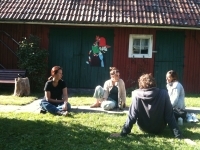 Also in Switzerland they give workshops in Swedish folk music. Last summer they were so popular on the Ljungbacka festival that they had to promise they would come back again this summer. Don't miss them! 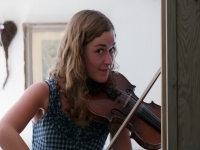 Jenny Linnéa Carola Almsenius works as a full time musician in Göteborg and Stockholm. Since 2006 she has been touring all of Sweden and Norway. 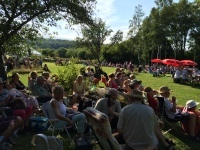 Amongst many other venues, she has performed at the famous Västervik festival. 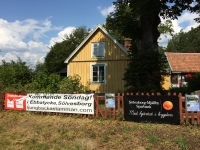 Jenny received the Mariestads Visans Vänner-scholarship 2006 and Hallands News cultural price 2009, STIM-scholarship 2011 och SKAP-scholarship 2014. The 25. 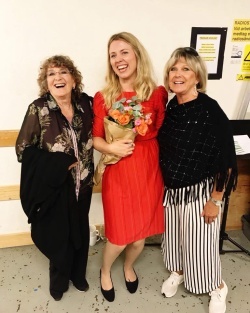 Augusti 2018 Jenny received the Cornelis Vreeswijk price for young songwriters on Rival in Stockholm. There she got to meet her idols Siw Malmkvist and Ann-Louise Hanson. 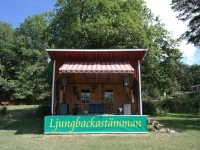 Don't miss your chance to experience one of Sweden's most treasured singers on Ljungbacka this summer. She is going to be a big star before long! 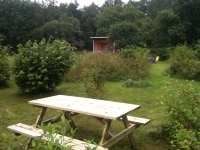 from Trollhättan is secretary in "Ljungbacka's Friends". 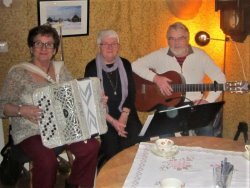 His repertoire from all our bards of past times who used to meet in "Den Gyldene Freden" of Stockholm's old town and his knowledge of the Swedish ballad tradition is impressive. 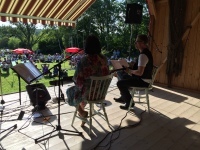 Peo was very well received with his music quiz on Ljungbacka the past five summers. 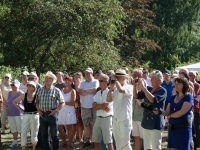 He is going to present yet another under the great oak on Ljungbacka 2019. 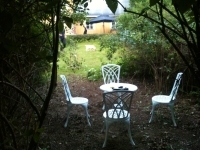 Valuable prices await those with good knowledge of the Swedish ballad tradition. 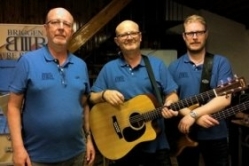 The three brothers Niklas, Gert and Jim from Lister have performed three times on the Ljungbackastage already. 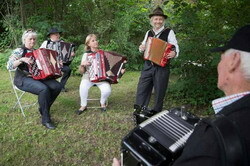 They have the audience in the palms of their hands with their brilliant humour and wide range of old and new songs. Much groove and feeling in their performance. Welcome back again lads! 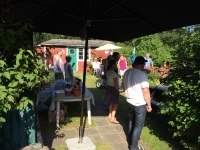 with Gunvor Åslund, Ann-Kristin Turesson and Leif Turesson are our guests on the Ljungbacka festival for the first time this sommer, as a group. 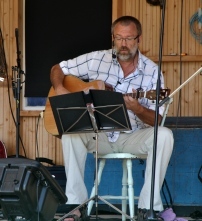 Leif Turesson also plays in the band "Fyra Skägg"who have played on the Ljungbackastage previously and Gunvor Åslund is known here as a sessioneer and box player at the childrens dance sessions on Ljungbacka. 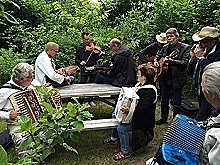 Our hexagonal wooden open air dance stage will be opened for the third time by this traditional, Swedish dance group from Asarum. They are a beautiful sight with their well coordinated dances and their folkloristic dresses. The audience, ofcourse will be invited to try the boards as well. For the second year all children will have a dance session on our dance stage with caller Kristin Eriksson and box player Gunvor Åslund. 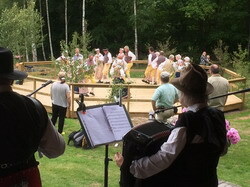 It was tons of fun last summer so welcome all young dancers and enjoy yourselves again! Again this summer there will be a pause in the programme on stage to prevent everybody in front of the stage from getting stiff. 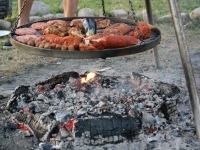 Then it's time to get drinks and food from the barn or throw a sausage on the barbeque. Grab the opportunity to walk around in our beautiful park and listen to the many music sessions between trees and shrubs, or just sit on one of the many patios and enjoy the nature.